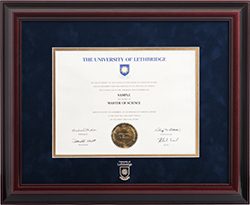 Display your success! 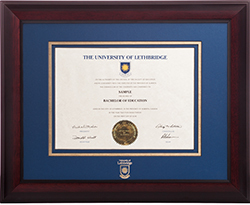 The Alumni Association offers five Canadian made and eco-friendly professional parchment frames, all elegantly emblazoned with the University of Lethbridge shield. 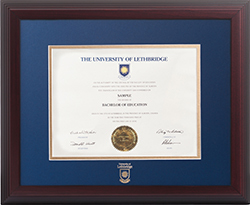 To purchase a frame, please visit our online store. 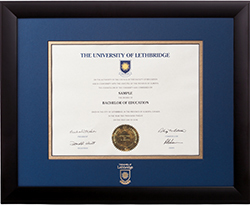 Should you need assistance, please contact alumni@uleth.ca for more information.